Renewable power investment receives boost in New York. According to Capital New York, Gov. 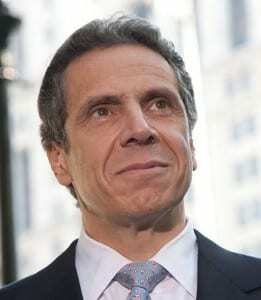 Andrew Cuomo (New York’s governor), revealed his plan to create a tax break for facilities generating solar and wind energy, which is part of an attempt to increase renewable energy generation within the state. Governor Cuomo’s budget proposal would also reduce the states use of fossil fuels. The budget proposal of Cuomo’s has been designed to boost funding for environmental and energy initiatives. It will also increase the state’s focus on alternative energy, specifically on renewables, while, at the same time, lowering its reliance on fossil fuels. Last week, the New York governor explained his plan and said that he envisions New York having greater reliance on wind and solar power sources. Unlike the broad clean energy initiatives Cuomo introduced in his initial term, his new plan focuses on a series of smaller initiatives. His new goal would see more New Yorkers utilizing power sources without emissions throughout 2015. A community renewable energy initiative will be launched by the state under the new spending plan. This will enable neighbors to buy into clean energy projects of a much larger scale and enable them to obtain credit on utility bills for the power that is provided. In addition, those who purchase solar panels will be able to benefit from tax breaks. Part of the renewable energy plan is to lower energy consumption in five of New York’s largest cities by 2020. To help develop energy efficiency programs within the state, there will be a $20 million competition among the five biggest cities outside of New York City. The aim of this competition is to lower energy consumption within the five cities – Albany, Rochester, Buffalo, Yonkers, and Rochester – by 20% by the year 2020. The best ideas that result from this competition will later be replicated in the state’s smaller communities. New York will spend $35 million to develop a research lab in Albany at the SUNY Polytechnic Institute, which will research a future energy grid designed to rely less on fossil fuels. Furthermore, the state intends to boost its purchase of zero-emissions electric vehicles and has a separate $20 million initiative to help bring clean energy jobs to the Southern Tier region. In addition, the state also plans to invest $65 million in Brookhaven National Laboratory for the purpose of developing improved battery storage technology. This is considered one of the chief areas of growth for the renewable energy industry.